Upgrade your subscription today to save 15%! 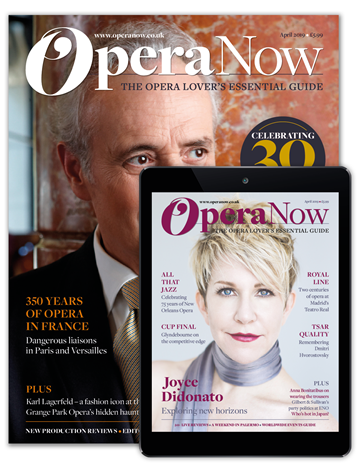 To celebrate Opera Now’s 30th anniversary, every issue since 1989 is now available to read in our digital archive. Upgrade to our ‘Print & Digital’ package to add the archive to your subscription. To claim your discount, please enter promotion code ONUP19 at the checkout.